Hey, this is @ramengirl. Since I started Steemit with the name of @ramengirl, I finally reached 71 reputations, and 3,000 followers! Which I couldn't even imagine at the beginning! To celebrate my 3,000 followers I want to host a contest called 'Steemit Crush'!!!! Please choose the Steemian you'd really want to meet the most in real life and make a post explaining the reason. You can freely express your words by writing, drawing, Dtube video, Dlive, music and so on. Chose one Steemian who you really want to meet and make an original post. Be sure to use the tag #steemitcrush. The contest deadline is the date on which this post reaches payout. I'm looking forward to your creative participation. Thanks! 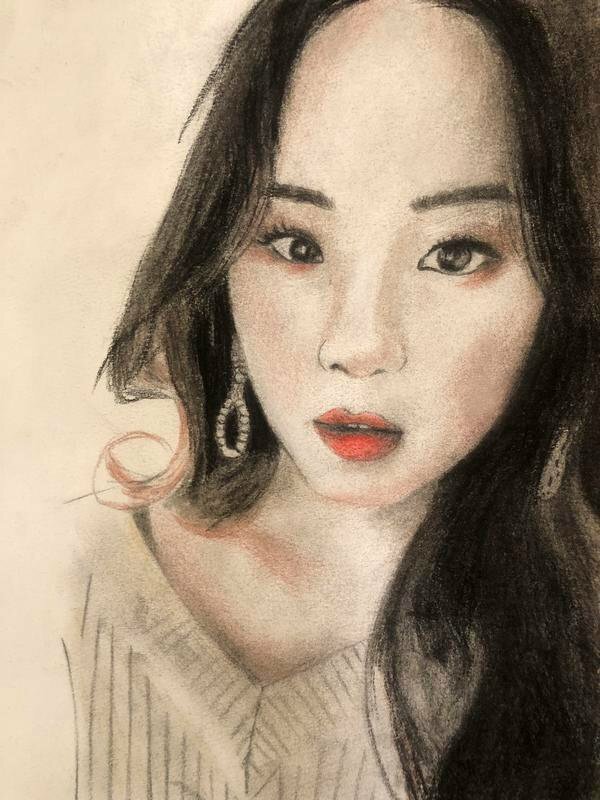 안녕하세요, @ramengirl 입니다. @ramengirl이라는 이름으로 스팀잇을 시작하고, 상상조차 할 수 없었던 명성도 71, 그리고 팔로워 3000명에 도달하게 되었습니다. 팔로워 3000명 도달을 축하하기 위해 스팀잇 크러쉬라는 콘테스트를 주최하려 하는데요! 여러분이 실제로 가장 만나고 싶은 스티미안 한분을 뽑아서 포스팅으로 만들어주시고 그 이유를 적어주세요^~^ 글, 그림, 디튜브 비디오, 디라이브, 음악 등으로 자유롭게 표현해주시면 됩니다. 내가 꼭 만나고 싶은 스티미안 한명을 뽑아 오리지널 컨텐츠로 제작합니다. 콘테스트 기한은 이 글의 페이아웃이 되는 날짜입니다. 여러분들의 창의적인 참가를 기대하고 있겠습니다. 감사합니다! If you liked my posting please upvote & follow me. Thank you! Congrats @remengirl on your 3k followers!. Hope you will reach 10k soon! 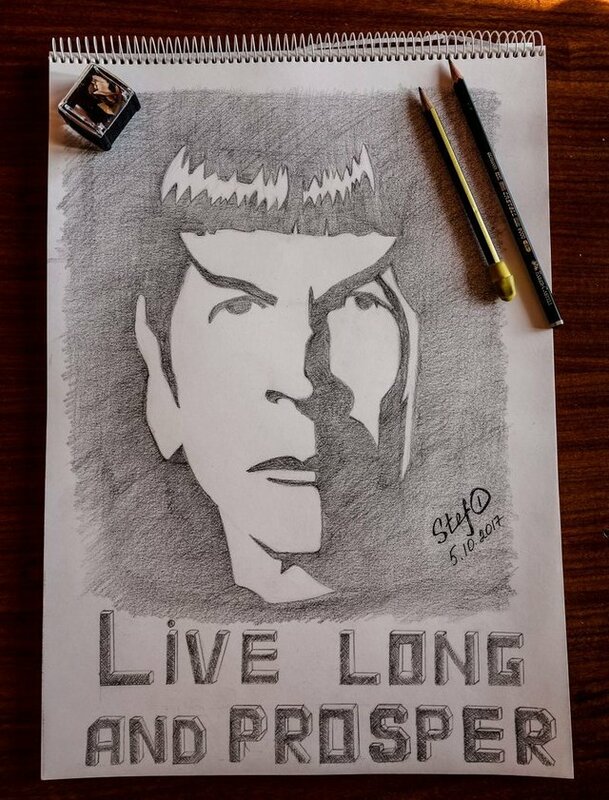 Anyways I'm new on Steemit. I never enter any contest before. Since you mention drawing. I drew a picture of you. OMG, Thank you so much!!!! Nice work,i am new here too. 김작가님+_+ 꺄아 감사드립니다>ㅂ< 평안한밤 되시길 바라요! Thank you for the opportunity. I'm newbie who would like other to know me more. :) I actually don't know anyone well on the steemit, but I will try. Thanks again. hey @happyleona we're also new, follow @happychaga ;) because HAPPY :) yey! what a brilliant idea for fun. @ramengirl This is awesome ! Congrats on the new milestone <3 Love the creative contest! Wishing you a phenomenal 2018 !!!! 라면걸 님이 1등으로 많이 나오시길 !!!!!!!!!!!!!!!!!!!!! beajinsu님~ 아니에요>_< 너무 부끄러워서ㅋㅋㅋㅋ 저는 많이 안나왔으면 좋겟어요 헤헷ㅋㅋㅋㅋㅋㅋ 평안한밤 되시길 바라요! Wow nice your steem contest. Your challenge was added to Steemit Contest Compilation (08.01-14.01): Win free SBD and STEEM for current week. Thank you @ramengirl for giving Steemians (especially minnows) a chance to get free SBD. Hello @ramengirl, and her is my entry post for the contest. https://steemit.com/dtube/@tezzmax/izrfivqg. 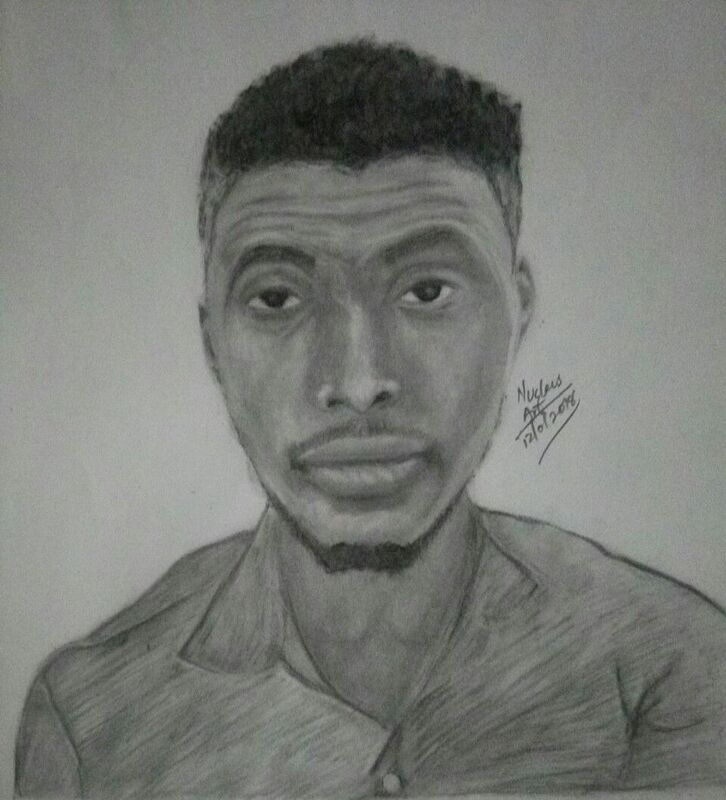 I drew my steemit crush. congrats on getting so many followers and reaching high level, it's SO HARD TO DO. Best wishes to you! Such a good idea to propose a contest that will make our community stronger! springfield님^~^ 저도 너무 기대되네요!! 응원해주셔서 감사드립니다!! Do your thing @ramengirl, do ya thing! Wowww 3,000 followers and growing...what a great achievement you have here on steemit. Congratulations on this milestone! You are truly an inspiration to many Steemians like myself. Keep soaring higher. 조금 늦었지만 방금 포스팅 했습니다~!! @ramengirl .. Here is my contribution. I have resteem your post..
히익 3000명이라니 ㄷㄷ 진짜 축하드려요!! showroo님~ 아유 저정도는 스케일이 큰것도 아닙니다^^;; 팔로우 400명 축하드려요!! 4000명이 되는 그날까지 화이팅! Congrat. Unnie, 3000 followers is a lot of work. I watch a lot of korean movies, i hope i get to taste ramen someday. 정말 재밌는 콘테스트가 되겠네요!!! :) 기대됩니다!!! I start today my post. Congratulations @ramengirl I think I made your followers 3031. This is an interesting contest! Congratulations and you are blessed to enjoy every moment of life to the fullest. Thanks for giving the great opportunity, I am in, I want to meet @kafkanarchy, so will be a contestant .Thanks for the opportunity, see you soon. Resteem. Hi friend as I mentioned in the comments I have presented a post, about whom do I want to meet in my real life. 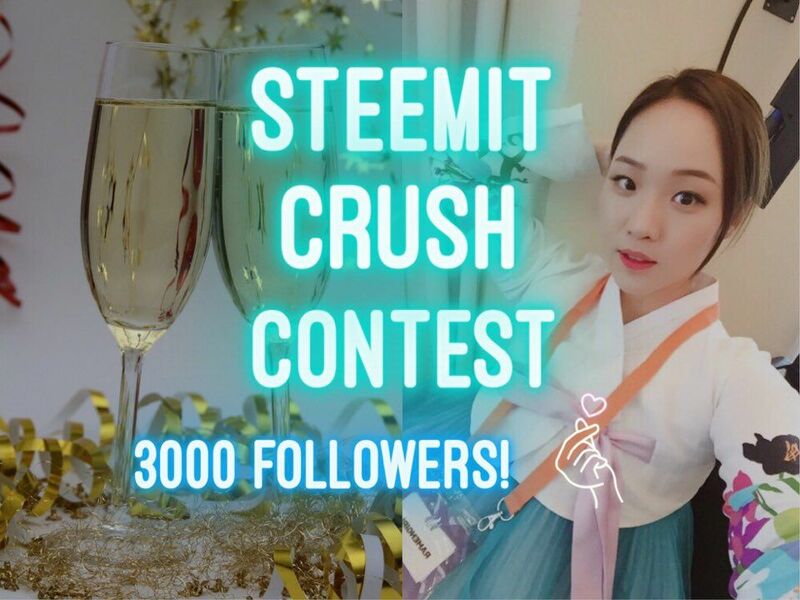 Please have a look and here is the link https://steemit.com/steemitcrush/@maya7/steemit-crush-contest-the-steemians-whom-i-want-to-meet-in-my-real-life .Thanks for organising such a beautiful contest where my beautiful thoughts have got their wings. Thanks. 어떤 포스팅들이 나올지도 기대가 되네요~! zorba님 감사합니다^~^ 저도 너무 기대되요!!!! Haha, Pls do. My Steemit crush is your sister @polebird. My post for her will soon be out. awww so cute! :) Let me know when you post it so I can watch it! This must be fun. Well done. Subarashii! I just joined today. I have no ideam whom to like! Any body can you help! Thanks for putting up this contest, I'm gonna drop my entry soon. Wow big congrats @ramengirl for achieving such massive feet more followers to come. Congratulations on your 3000 followers. Now i'm crushing on you! Congrats @ramengirls, I will enter your contest. 그리고 3000팔로워 축하합니다!!!!!!!!!! !전 아직 한참 멀은 플랑크톤이지만 열심히해서 @ramengirl님처럼 큰 고래 되겠습니다.ㅎㅎㅎ 축하드려요!!!!!!!!!!!!!!!!!!! Ohayo gozaimasu Ramen Girl! Yeah I'd like to participate to your contest and thank you for letting us know about your contest arigato. Hi @ramengirl check this out. Congratulations @ramengirl on your milestone achievement. And your generous way of celebrating your achievement is highly commendable. Watch out for my submission before end of contest.